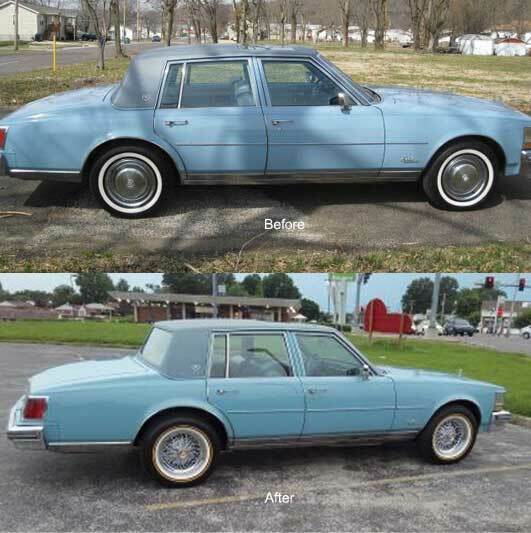 Above price is for one wheel, one round center-cap with a Cadillac emblem or a 3-bladed spinner with Cadillac emblem, 5 lug nuts, 5 washers and a valve stem. Select four wheels to purchase a full set please. 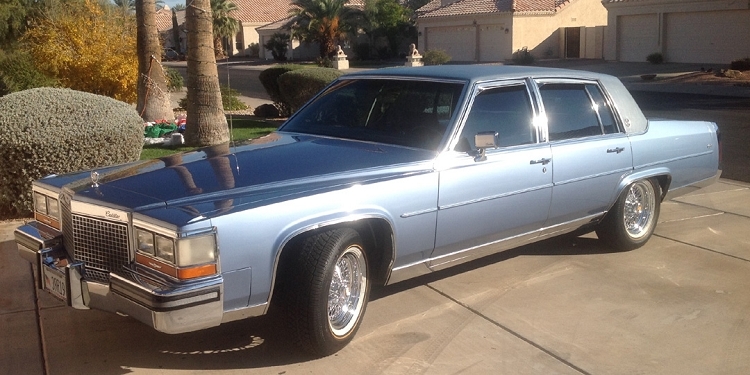 Standard round cap with GM licensed restoration part Cadillac emblem or 3-bladed spinner. Please take your choice. Standard size 15 X 6 or 7 inch width. 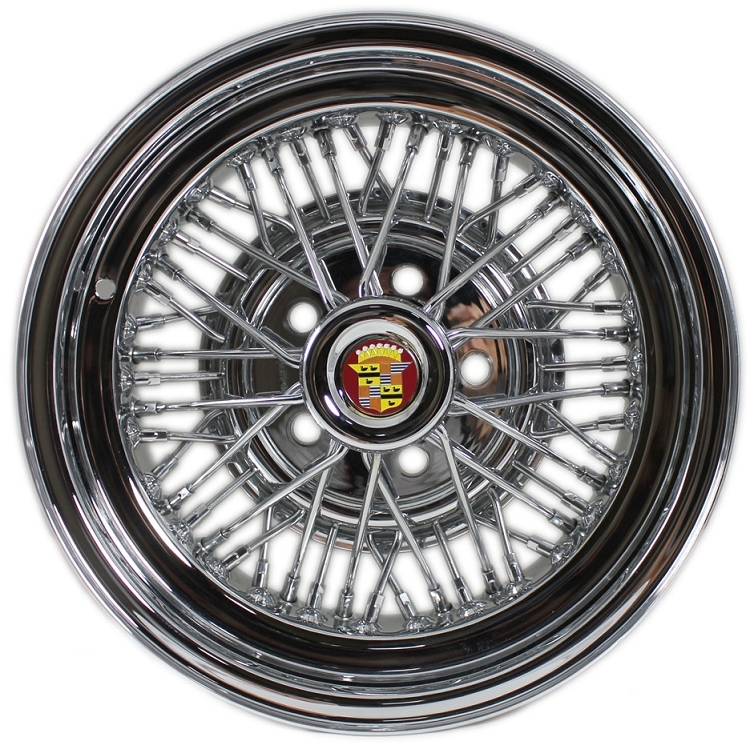 We can supply this wheel with 5 on 5", 5 on 4.75" and 5 on 4.5" bolt patterns. Plain cap is available without Cadillac emblem if desired. 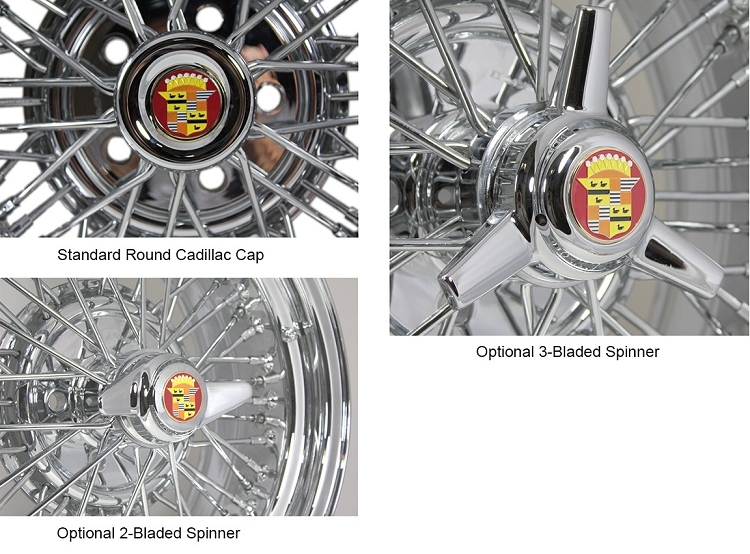 Standard package comes with the cap and emblem as shown or 3-bladed spinner, lug nuts, washers and chrome valve stems. 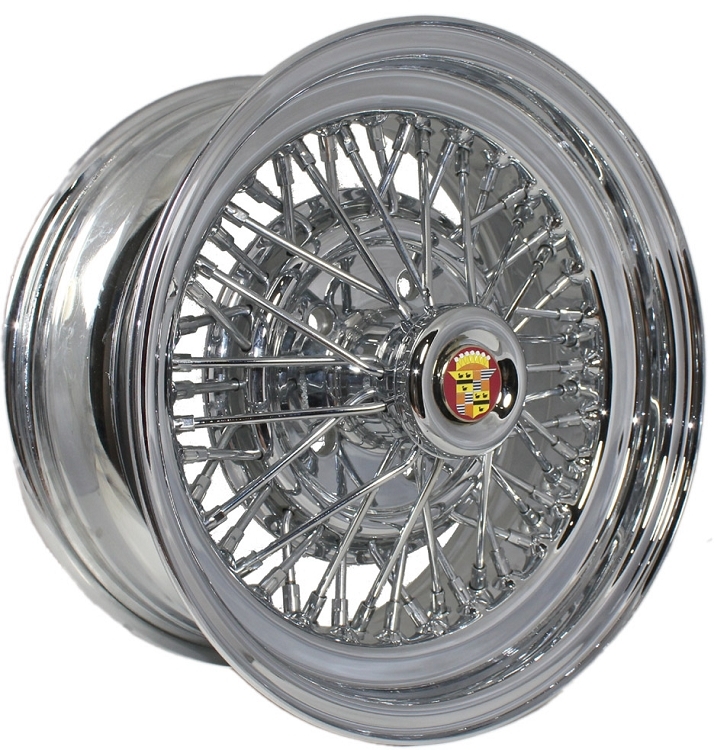 These wheels are generally in stock. If not, the build-time is 1-2 months.